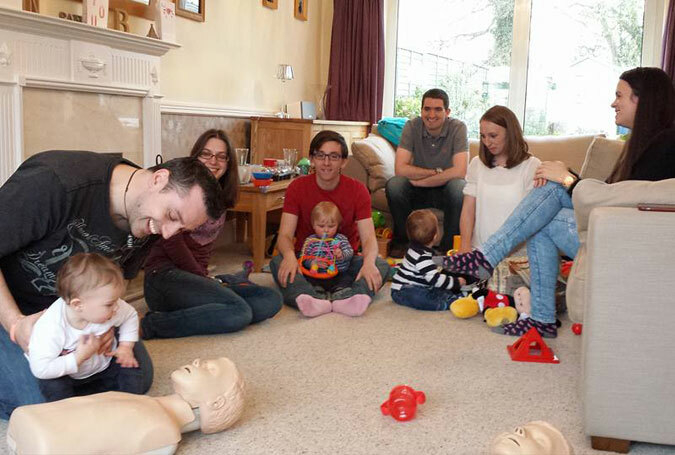 Who for – A relaxed, no pressure, first aid session, equipping you, your friends and family with the latest child and baby first aid techniques. You can host one at your home for a minimum of 3 candidates or join one of our open courses. Duration – 2.5 hours (allow 3 hours). Maximum Number candidates – 15. Priorities, first aid kits, primary and secondary assessment, unconscious casualty, airway management, recovery position, cpr, choking, epilepsy, shock, fainting, bleed control, burns, embedded objects, asthma, open fractures, closed fractures, spinal injuries, head injuries, concussion, compression, skull fracture, anaphylaxis, eye injuries, splinters. Price – £20 per person.